I had an excellent trip to Washington D.C. this past weekend to meet up with Samantha and Ryan for their engagement session. 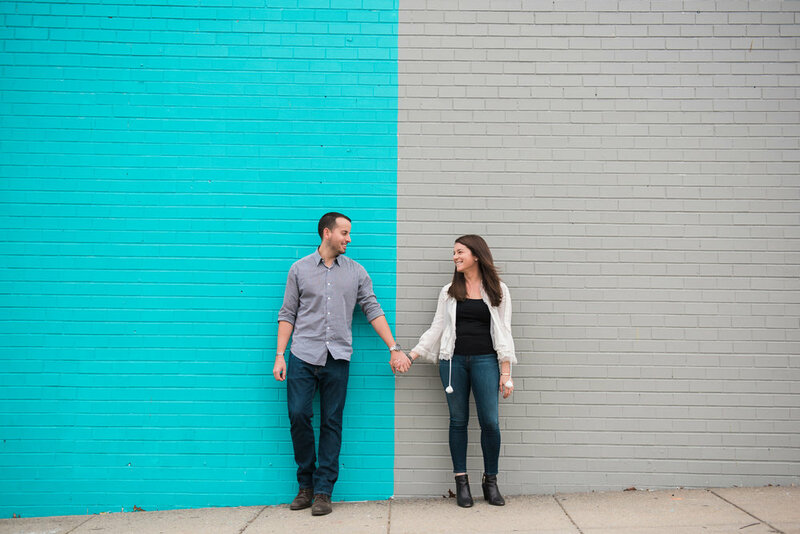 They are having their wedding next year at the Institute of Contemporary Art Boston (ICA) and the talented Michelle Shaufeld of The Day Of event coordination is planning their big day. We started our day at the Union Market where we had fun at the "Heart wall" before heading towards the Capitol Building. While the sun did not want to come out for us, the rain did hold. We wrapped our session with a champagne toast on their rooftop deck. I had so much fun with these two and can not wait to see them all dressed up for their big day!